Stone Guardian had a breathtaking cast of characters. All the possible creatures from the Magic Realm are featured. And human are aware of their existence, some of them even being their allies. But there are those, who want nothing to do with magic. Larissa’s father is one of them and he has done all he can to protect her daughter from everything that exists outside their magic free city’s boundaries. And he has had the help of Larissa’s four older brothers, all working in law inforcement. All that changes, when she’s attacked by zombies and she meets her designated protector for the first time. A gargoyle and a leader of his clan, Terak is only doing as the Oracle told him to. But soon he realizes, that protecting Larissa is more than just a duty. Larissa has something, that the evil forces of Magic Realm want for themselves. She doesn’t know who around her can be trusted. Her whole life is destabilised and in middle of scary and shocking events, turkey on rye can be a safe haven. Speaking of Dad, why wasn’t her phone ringing off the hook? As soon as an orc invasion was reported, her father should have made a beeline to the apartment and proceeded to try to grab her up and bring her home. Strange. Maybe not the strangest incident of the day, but strange. She made turkey on rye. It was nice to do something as normal as make food after the last few hours. Normal was severely underrated, and if her life ever went back to normal, she would never take it for granted again. Normal was not a gargoyle who had the ability to shift into human form. This was supposed to be turkey on rye, but I couldn’t find turkey anywhere, neither fresh nor frozen. Sure, turkey cold cuts were in every store but I wanted something else. I found duck’s breast fillet and that’ll have to do. 1. 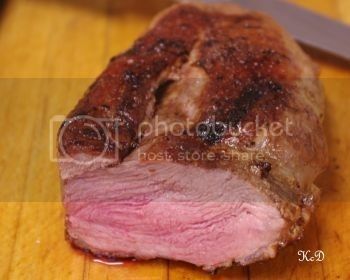 Take the duck breast, cut shallow criss cross pattern on the skin. Heat a frying pan (no oil), fry skin side first for about ten minutes. Then turn the meat and fry the other side for about 8 minutes. When cooked, set a side. 2. Take the slices of bread and spread a layer of cognac mustard on each. 3. 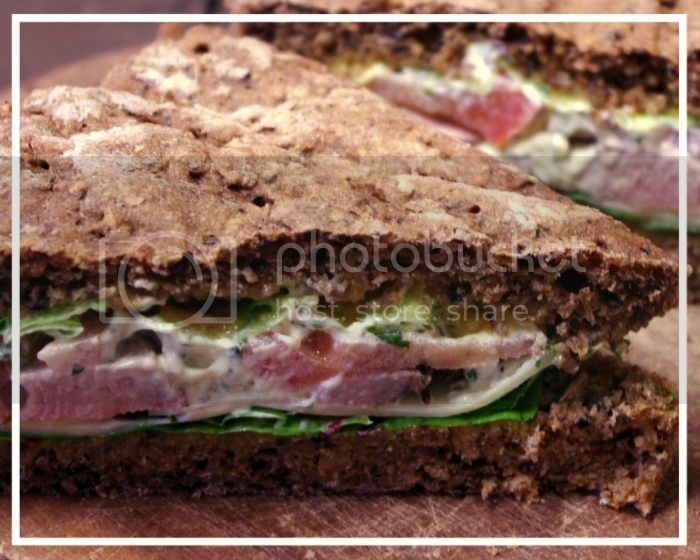 Take one slice of bread and add red-veined sorrel, thin slices of duck breast and grind some salt on them. 4. Add thin tomato slices and then a good layer of mayonnaise. 5. Top with lettuce and the other slice of rye bread. 6. Serve with chilled beer, my new favourite is American Pale Ale. This book had quite a cast, I mean there were a lot of characters. Gargoyles, vampires, elves, mages, direwolves, orcs, zombies… But it was not a boring list of entities, every character introduced was significant to the story. The book begins on the day of the Great Collision, the day when Magic Realm merged with the human world and all the creatures people thought only to be fairytale, come crashing into their reality. Twenty-six years later, Larissa, who was born at the day of the Great Collision, is yanked from her sheltered no magic – life, when bunch of zombies attack her. Luckily, precautions have been taken, and Terak, leader of his gargoyle clan, has been sent to protect her. But there are also others, who want to protect her. Everyone has different motives and agendas and Larissa is torn apart whom to believe and trust. And that benefits her enemies. All her life Larissa has lived under the watchful eyes of her father and four brothers and when she falls for a gargoyle, some obstacles can be expected. Terak being supposed to mate of his own clan, isn’t least of them. But love conquers all, right? I liked this book, a lot. It has a good flow and it is pleasure to read. There are no plotholes or wasted pages. Every character introduced, has a meaning. Althoug they are plenty, the ones that have most significance storywise, are not shallow. Larissa’s and Terak’s backstories are told and that gives the depth to the their characters. For me, a book to gain review of three or more stars, there has to be good character depictions. Monsch is talented author. Reading Stone Guardian I felt like every sentence is there for a reason. I loved her view on how the world in her book is built. It’s not just vampires or werevolves but all the fairytale creatures one can possibly imagine, together. And I can assure you, it’s a damn fascinating world.